This is a Heavy Duty Machine. The Material is crushed by impact of Hammers fixed on the outer edge of a spinning rotor. These are used as Secondary Crushers and are designed to crush tougher materials like Basalt, Granite, Quartzite, River Gravel etc. By leveraging upon our huge industry experience, we provide the best quality array of Horizontal Shaft Impact. Telsmith Impact Crushers can be used for primary or secondary applications. Available in three types , 10 models with capacities ranging from 35 to 2100 mtph. 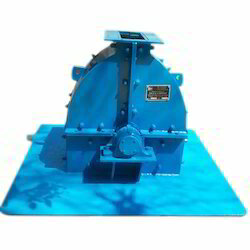 We are the leading manufacturer and exporter of Herb Crushing Machine With One Way Valve. 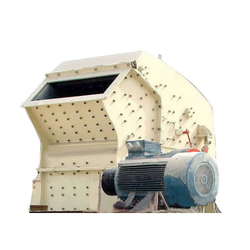 Horizontal Shaft Impact Crusher is specially designed to produce sand from (-) 40 mm size aggregates.